Automate daily pipetting tasks and increase productivity with a full selection of electronic pipettes, including adjustable tip spacing models. Pipettes have extensive and intuitive programming ensuring easy to use user interface. Lightweight, ergonomic single channel pipettes available in both fixed and variable volume models for accurate and precise pipetting. Designed, developed and manufactured to perfectly fit Thermo Scientific pipettes. A pipette’s performance is directly related to the quality of the pipette tip for optimal liquid handling result. Portable and lightweight S1 Pipet Fillers provide longer fatigue-free pipetting with faster performance. Advanced speed controls, backlit LCD display, and a lithium-ion battery means it's ready to use when you need it. Avaliable in different colours. The Thermo Scientific™ Finnpipette Stepper Pipette is a lightweight, easy-to-use repeater pipetter designed for one-handed dispensing. 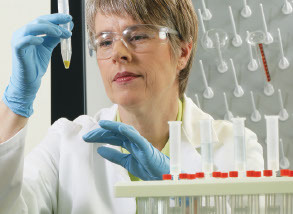 Dose liquids from reagent bottles with Thermo Scientific™ Finnpipette™ Dispensers or through Graf Dispensers. Prevent cross-contamination with Thermo Scientific™ Samco™ General Purpose and Blood Bank Transfer Pipettes, which have a built-in bulb that eliminates the need for plugging, packaging and autoclaving. The right choice of tube makes for easier experiments. Choose the right tube from our QSP or LabServ range of microcentrifuge tubes. Available from 0.5 mL to 2.0mL. Get the most out of your pipettes and pipette tips with a range of accessories. Carry out longer, fatigue-free pipetting with portable serological S1 pipette fillers with advanced speed controls. Pair with a wide range of serological pipettes in the size and packaging option that is right for you to stay productive in the lab. Efficient and reproducible liquid handling solutions for applications such as: PCR/qPCR set up, next-gen sequencing library prep, immunoassays/alphaLISA, assay sevelopment, high throughput screening and cell-based assays.